William Marshall (1745-1818), an experienced farmer and land agent, published this work anonymously in 1785. 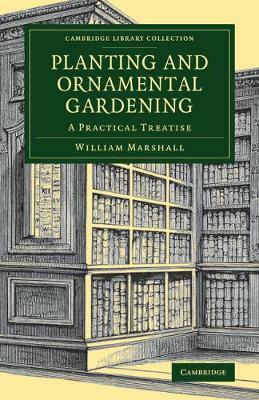 (His later, two-volume Planting and Rural Ornament is also reissued in this series.) His intention here is 'to bring into one point of view, and arrange in compendious form, the Art of Planting and Laying-Out Plantations', which had been treated by previous authorities as two distinct subjects. The book begins with instructions on propagation, planting out and transplanting, followed by an outline of the Linnaean system and an extensive alphabetical plant list (by Latin names). The second part consists of advice on the use of plants in the wider landscape: stands of timber for cutting, hedges, woodlands, and the landscaping of 'grounds'. The work includes a history of modern gardening, and discussions of 'factitious accompaniments', including the hunting-box and the ornamented cottage, though not the temple, which was 'a great act of folly' according to Marshall's criteria.